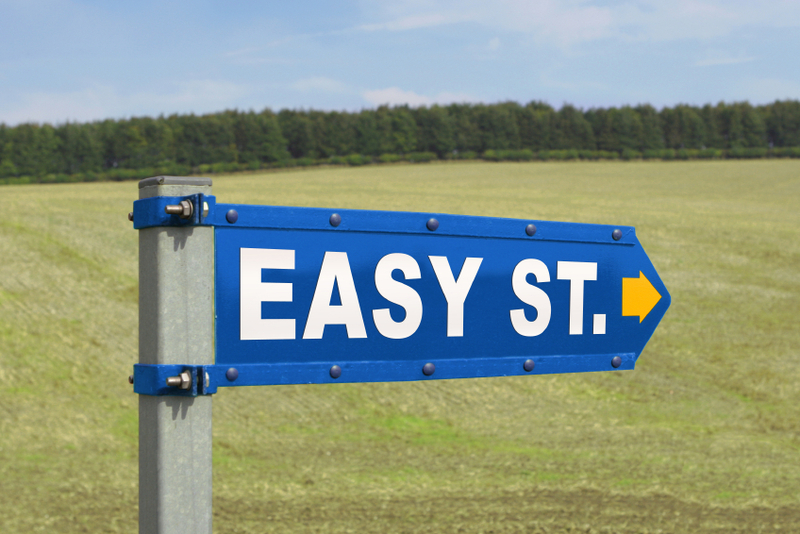 Going Paleo is easier than you think! This guide will give you some quick and simple steps on how to “Go Paleo” through diet and lifestyle choices. The Paleo Diet is about making more nutritious food choices by eating like our hunter gatherer ancestors. Don’t worry, this doesn’t mean that you have to go out foraging in the woods for your dinner! It simply means you should avoid eating foods that are processed and high in empty calories. Instead, stick to the healthy, nutrient dense foods that have been around for a very long time. 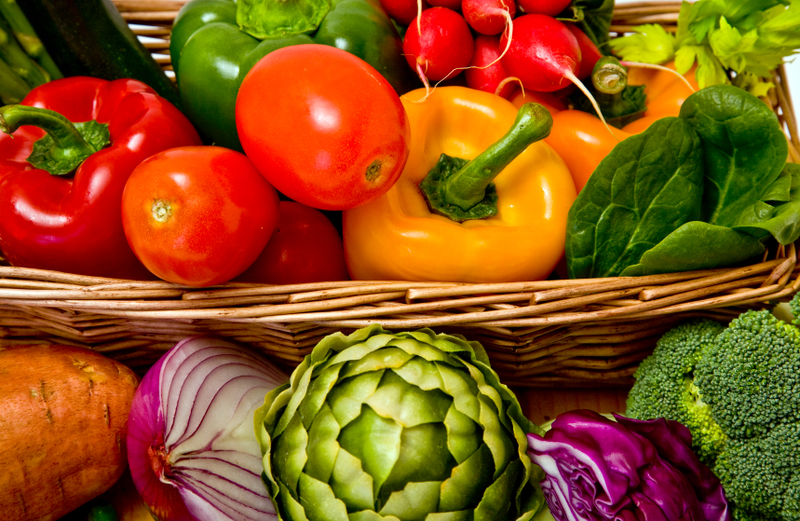 A diet high in vegetables with animal meats/seafood, fruits and some nuts. IMPORTANT - For ALL foods it is always best to eat organic/grass fed and wild caught. They typically contain a higher nutrient content and lower level of insecticides/contaminants. Avocado, Artichokes, Beets, Broccoli, Broccoli Rabe, Cauliflower, Chards, Collard Greens, Eggplant, Garlic, Jicama, Leeks, Lettuce, Mushrooms, Okra, Olives, Onions, Parsnips, Scallions, SEAWEEDS for Iodine (Dulse, Kelp, Nori) Spinach, Tomatoes, Turnips, Yucca. Any legumes (beans) – Examples include Blackeye, Chicpeas(Garbanzo), Fava, Kidney, Lentil, Lima, Navy, Peas, Pink, Pinto, Red, Split Pea, String and white beans. If you really want to eat beans, you can introduce them after approximately 3 months. Make sure to soak legumes overnight to reduce any toxins. FRUIT - Stick to the less sweet fruits that are colored all the way through. Organic is especially in fruits where the skin is eaten. Apples, Blackberries, Blueberries, COCONUT (a fruit superstar! complete with good fats), Grapes, Honeydew, Peaches, Pineapples, Raspberries, Strawberries, Watermelon. 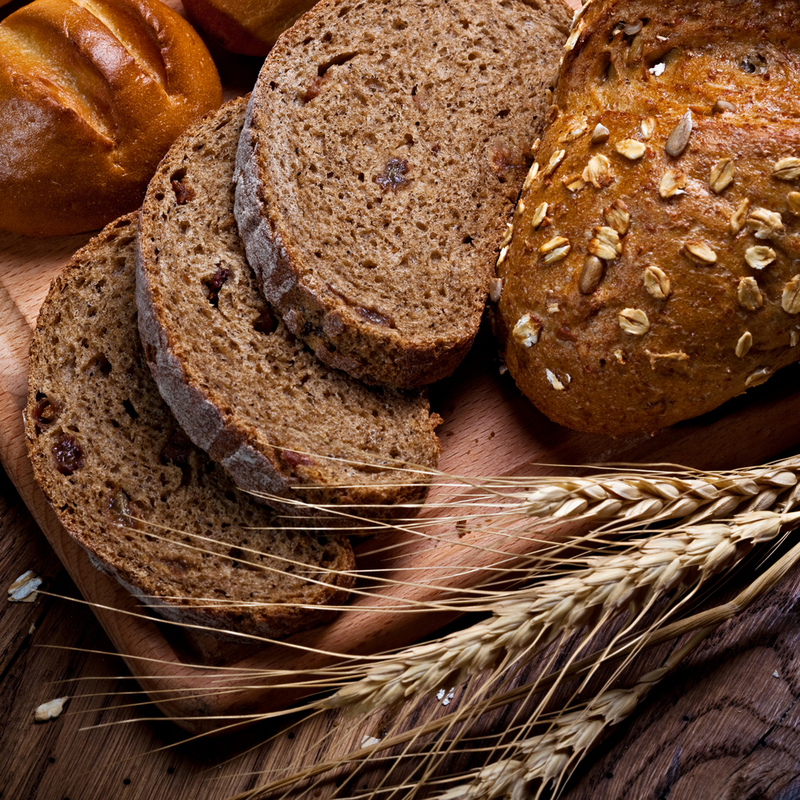 GRAINS – It is best initially to avoid all grains. If you must have grains, white rice is the least innocuous. You can also have a pseudo-grain such as Quinoa and buckwheat in small amounts, but be careful not to allow these foods to replace more nutrient dense choices in your diet. If you must eat grains, make sure they are fermented, soaked and sprouted. Avoid any grains such as Wheat, Rye, Oats, and Barley. Items with a grain base such as many flours, snacks such as cookies, crackers, cakes, breads and chips. Read your labels carefully to know what is hidden in the product. ANIMALS- are good for you! They provide essential vitamins for healthy cell growth. Meat is the only true source of Vitamins A, D and K2. Many people think they can get Vitamin A from veggies like carrots, but Beta Carotene is poorly converted to Vitamin A and should not be counted on as a source especially for infants and children. Stick to grass-fed sources as they contain higher omega 3 fats. Meats and Poultry: No need to cut away that fat or throw away those organs and bones – eating all the parts is the way to go and highly recommended! 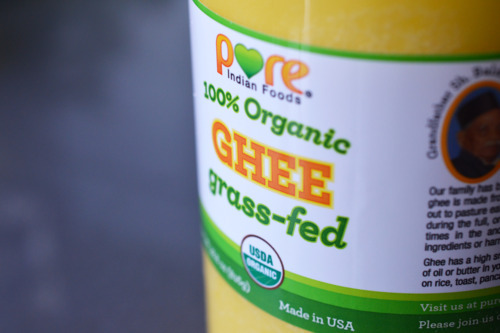 Organic, pasture fed and raised are preferred for superior fatty acid ratios. Beef, bison, pork, lamb, chicken, turkey, duck and quail. Bones are an excellent base for soups and provide extra calcium! The gelatin from bone both high in collagen and is great for the skin, hair and digestive system. With Poultry always eat egg yolks – they contain all the nutrition needed to make a chick! Seafood: All seafood is acceptable. Wild caught is preferable. Salmon is the best due to the amazing oil content. Believe it or not, canned Sardines, Mackerel, Kippers, and anchovies in olive oil are very good. Like poultry, don’t forget the eggs, they contain all of the ingredients to make a whole animal and are very good for you! Animal Fats: Are good for you! You can only get essential omega 3 fatty acids DHA and EPA from animals. 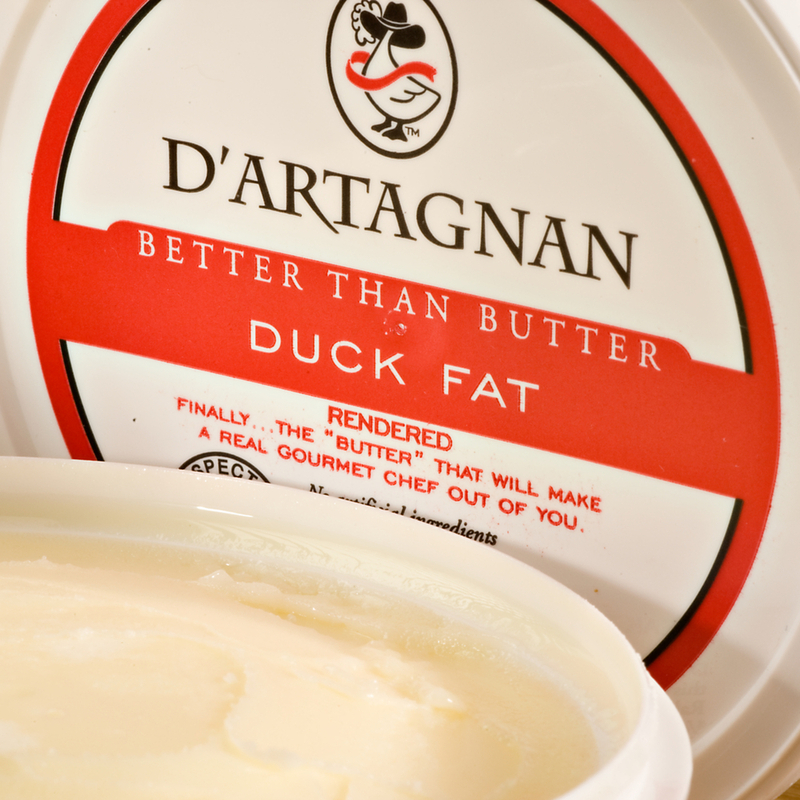 Lard, Tallow, duck fat, bacon fat, Ghee (pure butter fat). Don't be scared to incorporate these fats into your diet. Contrary to popular belief, many animal fats are mono-unsaturated (like olive oil) which is good for you! Avoid processed meats – Items that have been emulsified and formed into a shape - such as hot dogs, chicken nuggets and slim jims. OILS - It is very important to use the right oils for cooking and dressings. Use saturated fats (ie. Butter, palm and coconut oils) for cooking. Monosaturated fats (ie avocado and olive) are best for dressings as they can oxidize when cooking. Any processed industrial seed oil. 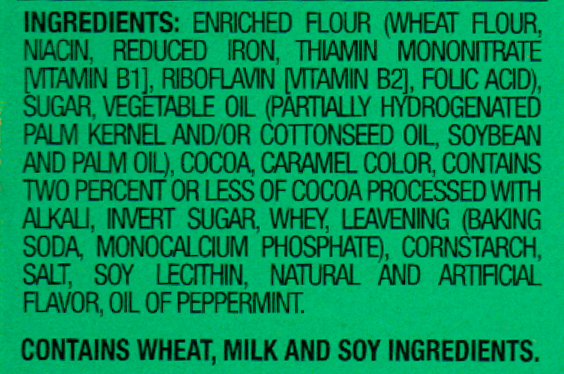 Canola, Corn, Crisco, Peanut, Sesame, Soy, and Sunflower are examples. These oils all contain Omega 6 which is inflammatory even at moderate levels. Before reaching your grocery store they are processed to a rancid level and then treated with hexane to get rid of the rancid smell! Check out the video on this process. Compare this to the process for making butter on the same page and tell me which seems more like food! NUTS– Are a great source of fat and protein, but are to be eaten in moderation and cautiously. Like some oils, many contain high amounts of inflammatory Omega 6 oils. Soak overnight if possible to reduce toxins. 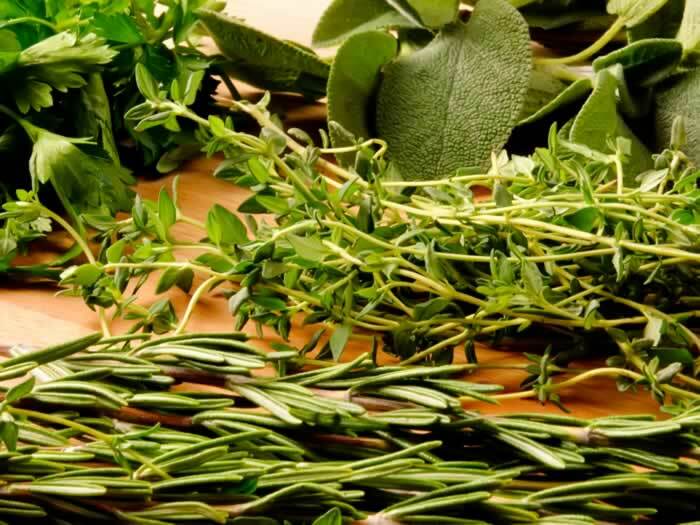 Herbs – Add so much flavor to foods – you really can’t overuse them! The only don’t is “don’t worry” about using too much! Find the amount and flavor that you like and add away! SPICES – Are another source of great flavor for your foods. Anything goes, just be careful to recognize your reaction to hot spices such as peppers. As noted under vegetables, these nightshades can effect autoimmune issues and even lead to leaky gut in some people. Capsaicin, Cinnamon, Coriander, Cumin, Curry, Garlic, Ginger, Pepper (Red and Black), Sea Salt (with added iodine to help make thyroid hormones), Tumeric/Curcumin is a tasty and excellent source to boost your immune system. Use spice nightshades such as peppers in limited amounts especially if you experience GI issues or have autoimmune diseases. As noted under vegetables, these foods can lead to leaky gut and a worsening of existing symptoms in some people. BEVERAGES - Focus on water as your primary drink to optimize hydration. Beverages with sweeteners (artificial or natural), Dairy, Juices - Juice is NOT fruit – it is an overly acidic sugar bomb! Energy drinks filled with stimulants such as caffeine, tuarine, ginseng and carnitine; and Sports drinks. EAT Dark Chocolate (Organic 85% or higher) Its good for you! One square in a day for it’s healthy fats, antioxidants and high polyphenols (flavanols). READ LABELS CAREFULLY! It can be tricky. For example many salad dressings, soups, sauces, ketchups, BBQ products will contain wheat, corn starch as a thickener, high fructose corn syrup, soy and the DON’T oils. Try to avoid these products for best success on this diet. Say NO to processed sweeteners such as Agave, Artificial Sweeteners, and Sugar. If you must use a sweetener choose Stevia or Xylitol. LIFESTYLE - The Paleo Lifestyle is about looking at the past and listening to the cues from nature to make choices to lead a more happy and healthy life. Stay active – walk every day. Get outside in the sun for a few minutes. Over exercise. This can cause unnecessary wear and stress. 10 minutes, two to three times per week is enough. REST – Proper sleep is vital for health. This gives your body time to repair. Sleep 7 – 9 hours per night. Unplug gadgets 1 hour before bed. Have your bedroom set at a cooler temp. Have caffeinated drinks after 12noon; Watch TV or use electronics before bed; try to limit social and physical activity close to bed. Explore relaxation techniques and find one that works for you such as yoga, meditation, deep breathing and rhythmic exercise. Try not to focus on the negative aspects of your day that can build anxiety.